I used to get really excited for new Apple products, like unhealthy levels of excitement. Nowadays I still get hyped up, but not as much. 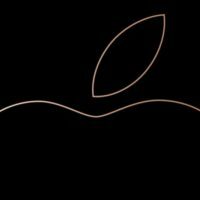 I’ve had my iPhone 7 for a couple years now, and its getting towards that time where I will be wanting a new phone, and just so happens that today, Apple will be revealing some new ones! Expected announcements today include three new iPhone models, a new Apple Watch, updates to the iPad line, and new Airpods. The event is at 1pm eastern today.